Now that the iron curtain is down folks in former Soviet countries are free to play tennis professionally and boy do they. 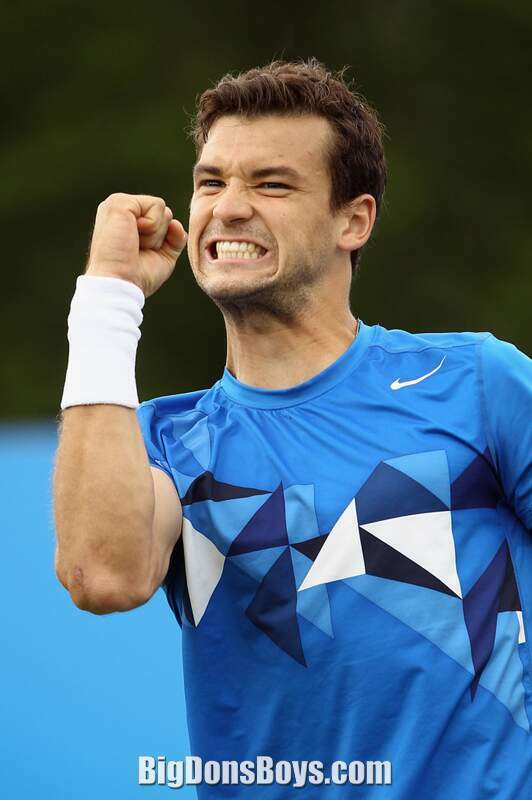 There are lots of Russians's and others from the former Soviet republics dominating tennis. 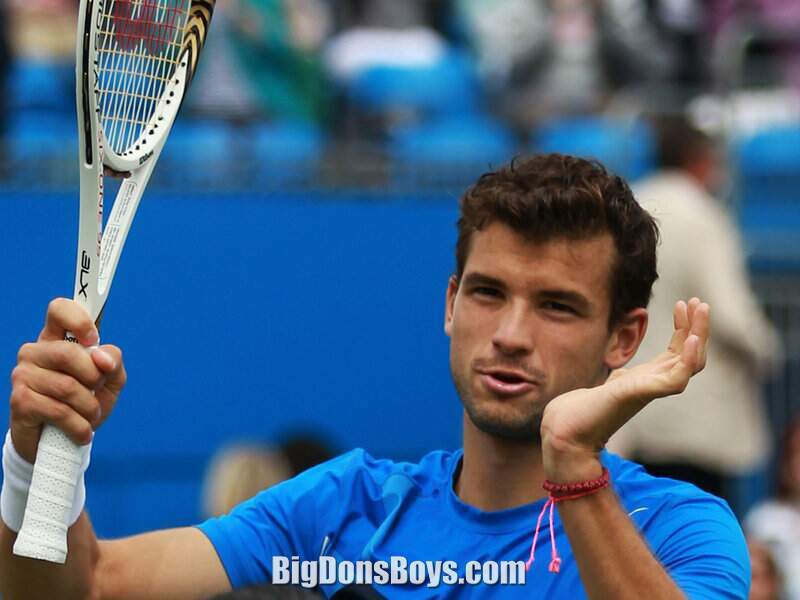 6'3" (1.9m) Grigor Dimitrov (Bulgarian: Григор Димитров) (born 1999) is a professional Bulgarian tennis player, currently ranked World No. 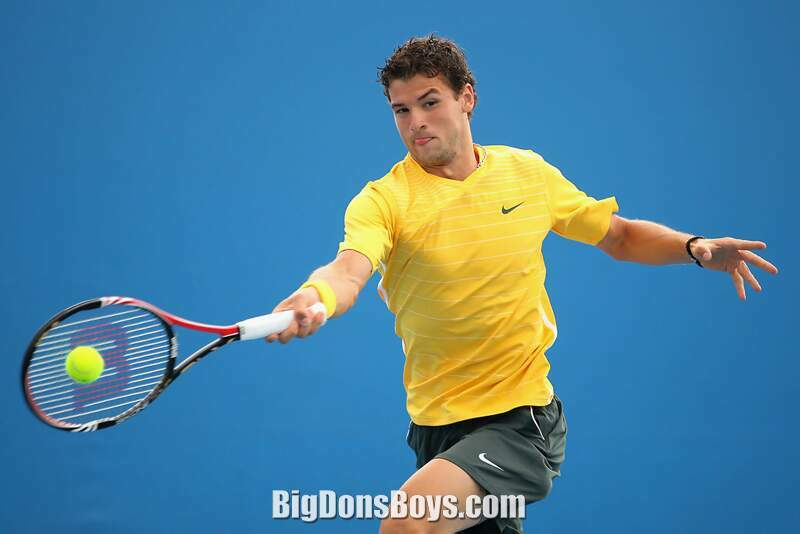 29 by the Association of Tennis Professionals (ATP). 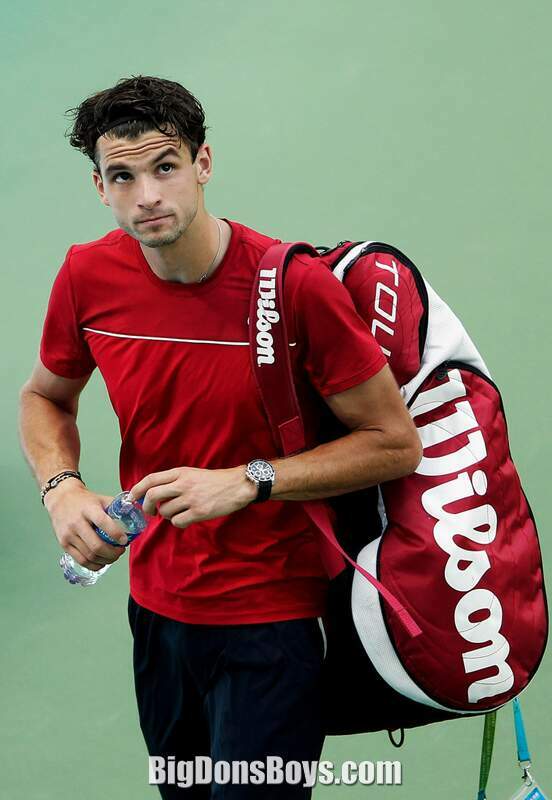 His career high singles ranking is No. 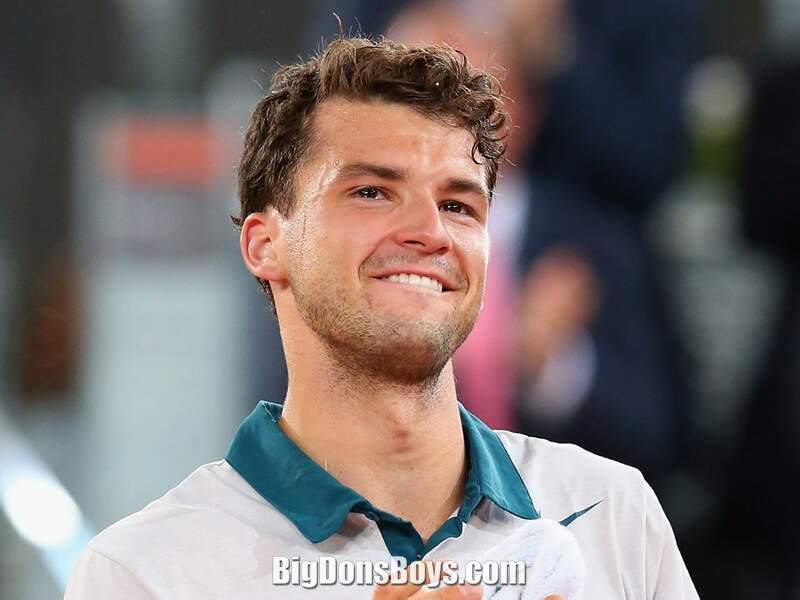 26, which he achieved in May 2013 following his victory over Novak Djokovic at the Madrid Masters, and his highest ranking in doubles is No. 66 in the world. 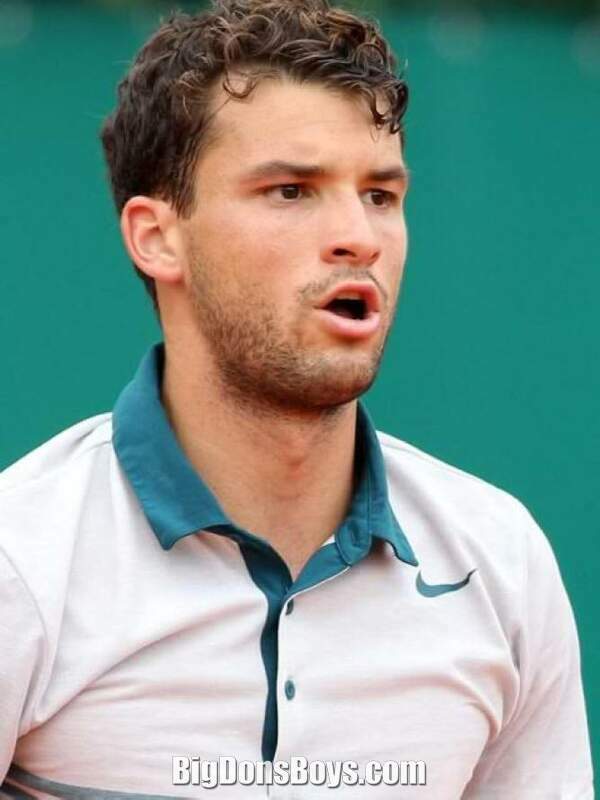 Dimitrov is the most successful Bulgarian male tennis player, both in terms of ranking reached — first and only player to rank inside the top 30 — and prize money won, being the only player to reach $M. 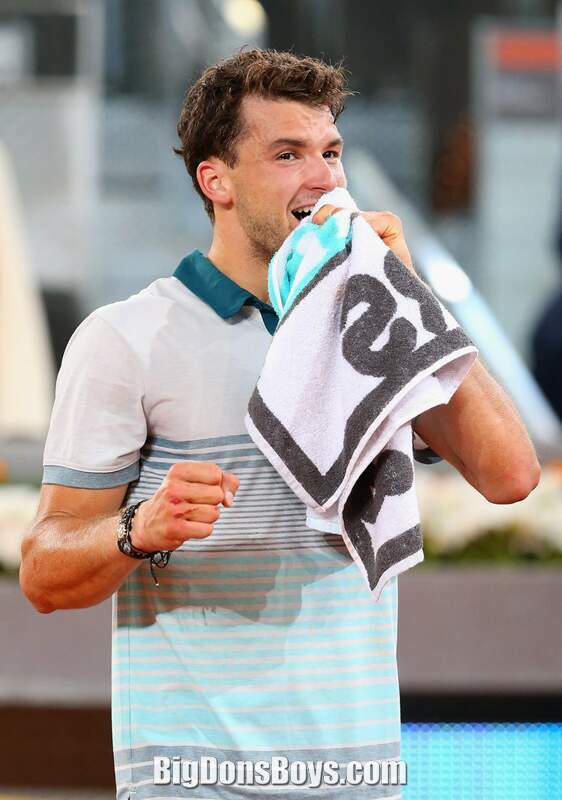 He is also the first (and only) Bulgarian to reach an ATP final in singles (in 2013) and doubles (in 2011) as well as the only Bulgarian male player to reach the 3rd round of a Grand Slam tournament (in 2013 at Roland Garros). 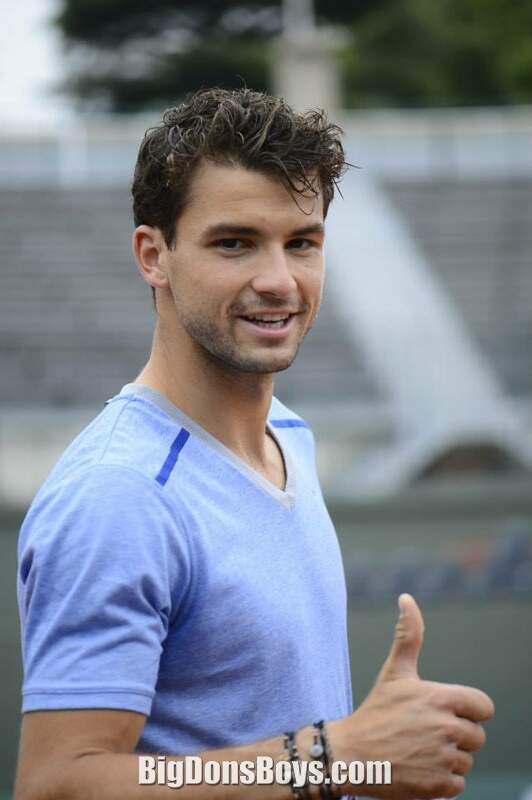 Prior to his professional career, Dimitrov enjoyed a successful junior career, in which he held the World No. 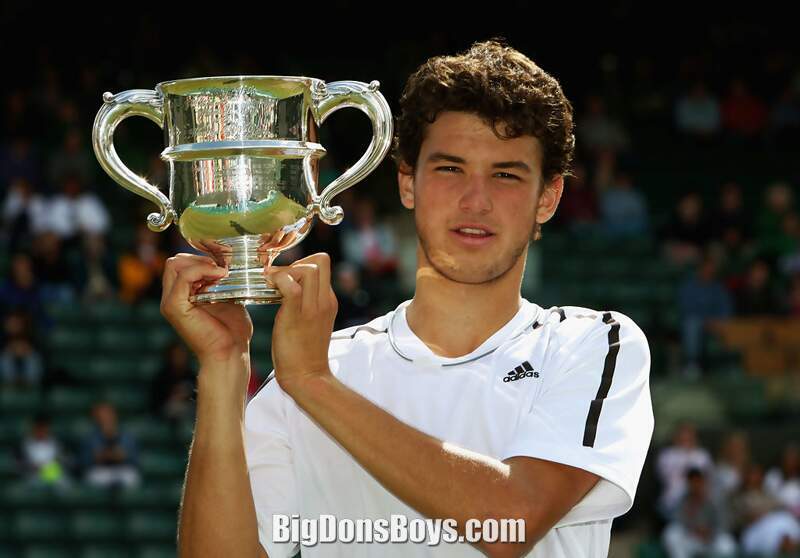 ranking and won the Boys' Singles titles at the 2008 Wimbledon Championships and the 2008 US Open. 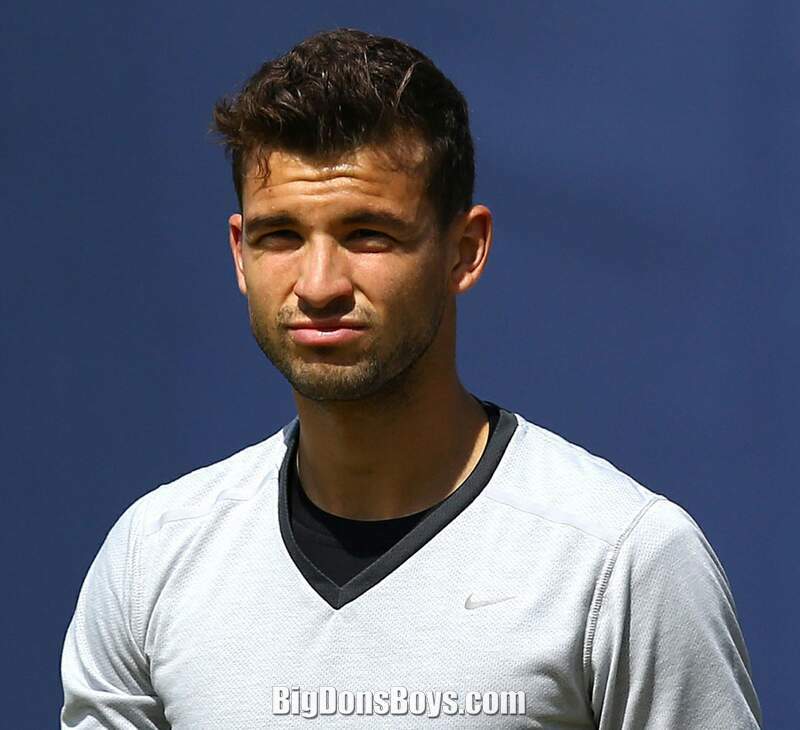 Grigor was born in Haskovo as the only child of father Dimitar, a tennis coach and mother Maria, a sports teacher and former volleyball player. He first held a tennis racket, given to him by his mother at the age of three and when he was five he began to play daily. 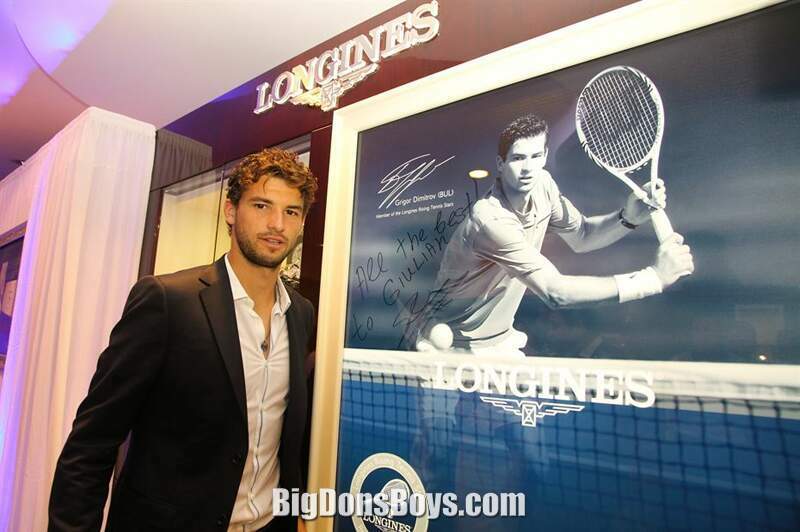 During his teenage years he lived in Paris, France while training at Patrick Mouratoglou's Tennis Academy. He speaks fluent Bulgarian and English and says his main interests are sports, cars, computers and watches. 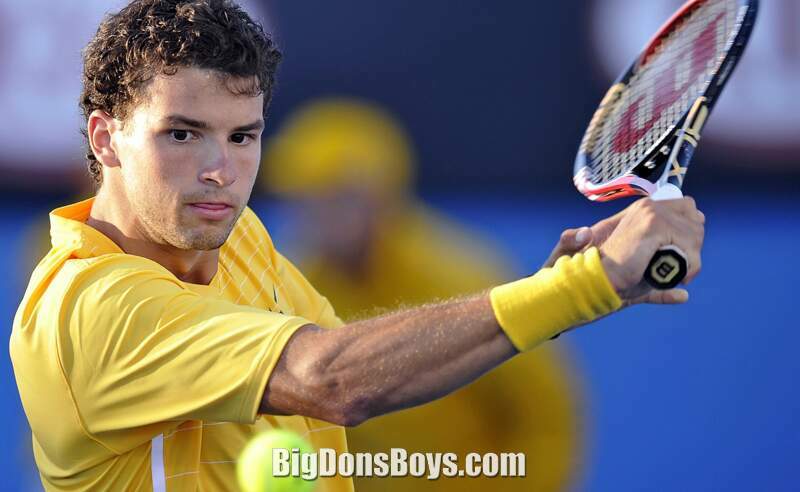 Since his junior career he has had several nicknames, including G-Force, Dimi, PT (Prime Time) Baby Fed and Show Time. 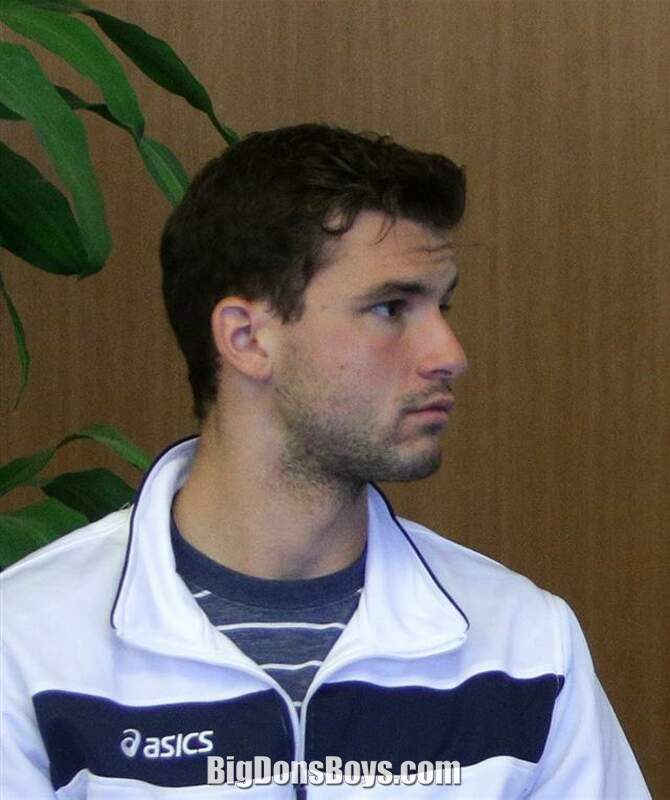 Dimitrov was rumored to be dating Russian WTA No. 3 Maria Sharapova throughout the second half of 2012, but the two only confirmed their relationship after the 2013 Madrid Open, where the Bulgarian managed his first win against a world No. 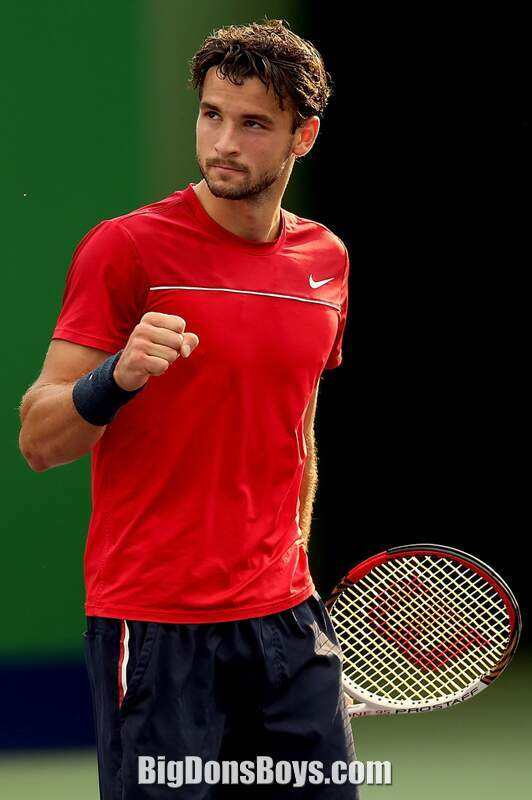 , beating Novak Djokovic. 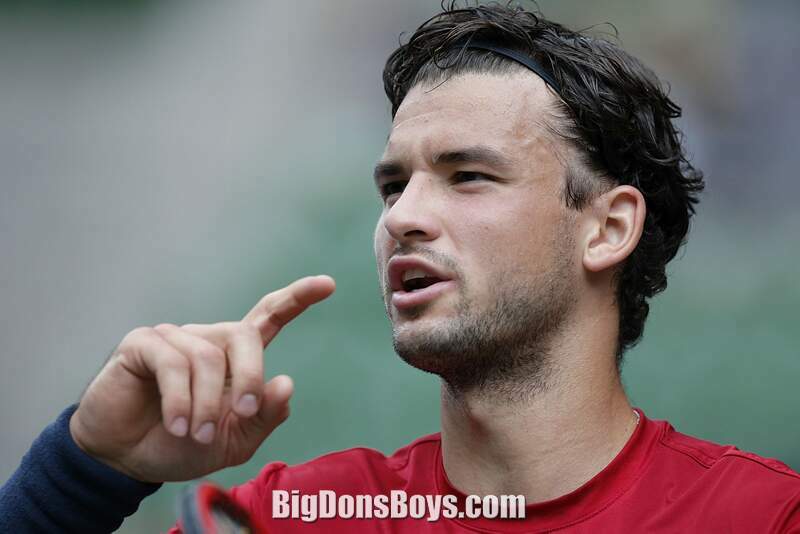 Dimitrov is an all court player with a heavy emphasis on baseline play. 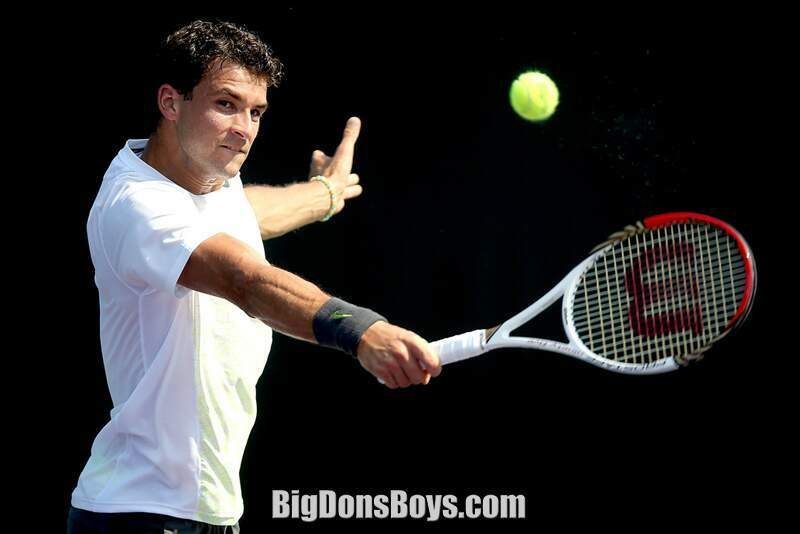 He plays right-handed and employs a single-handed backhand. 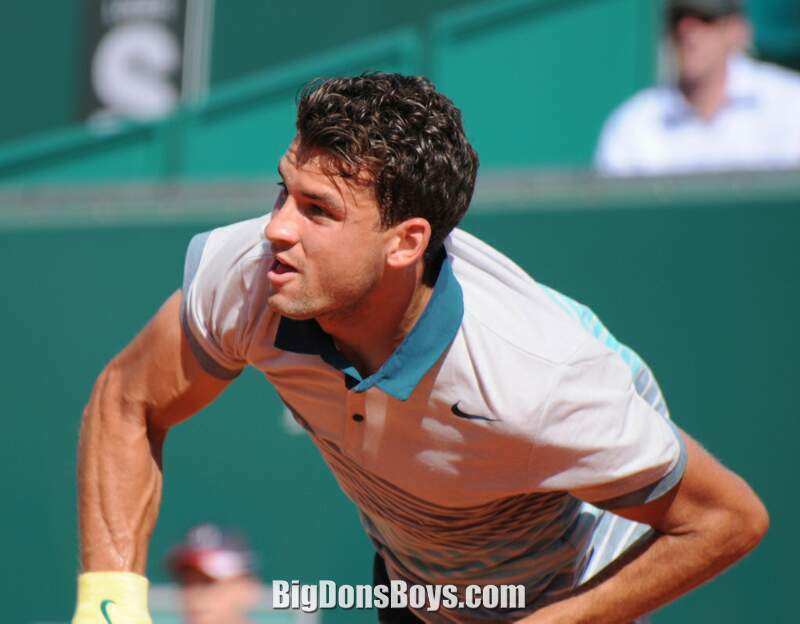 He considers the backhand down the line as his favorite shot and his favorite surfaces are hard court and grass. 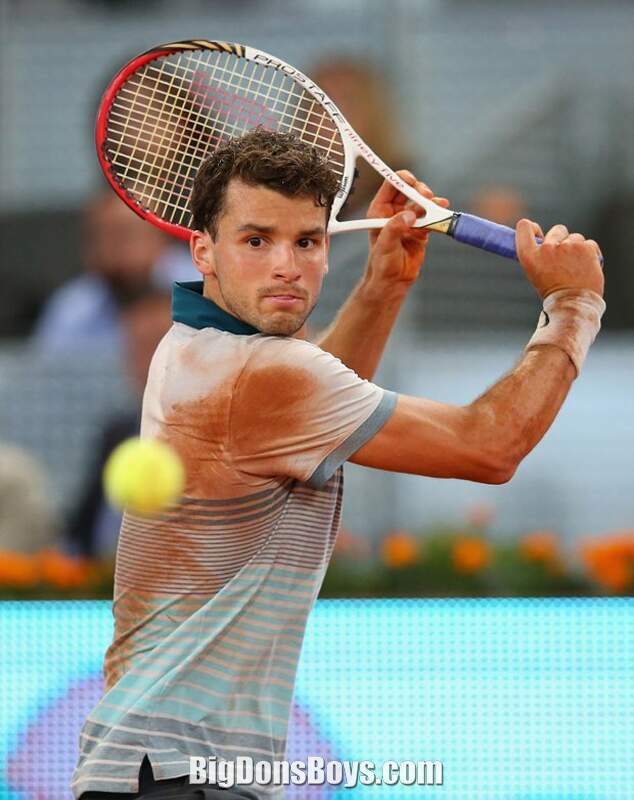 Despite this he has had notable success on clay courts as well, with wins over Novak Djokovic in Madrid and pushing Rafael Nadal to three sets at Monte Carlo. 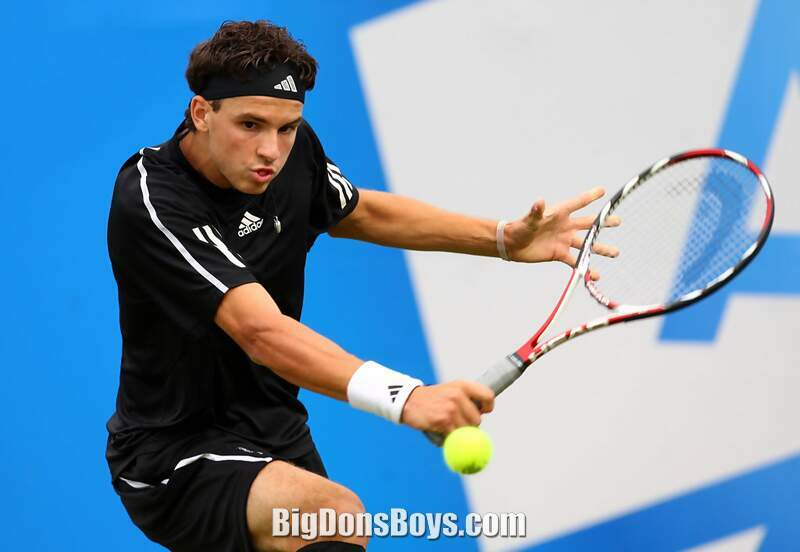 His game has been often compared to Roger Federer's (earning him the nickname "Baby Fed") due to the similarity in their ground strokes, particularly off the backhand side. 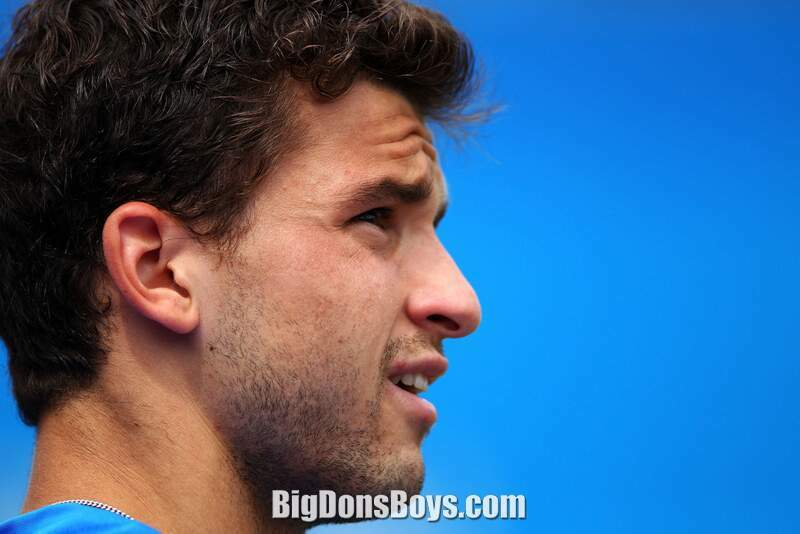 Dimitrov has stated however that he would like people to appreciate his game for its own sake. 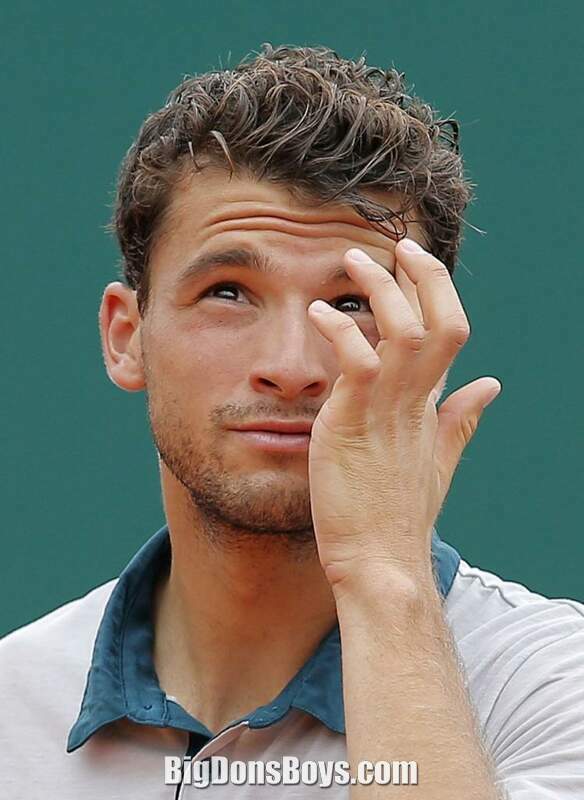 His lack of stamina/physical fitness and his return of serve have been cited as weaknesses. His serve is consistent and powerful, although lacking in precision. 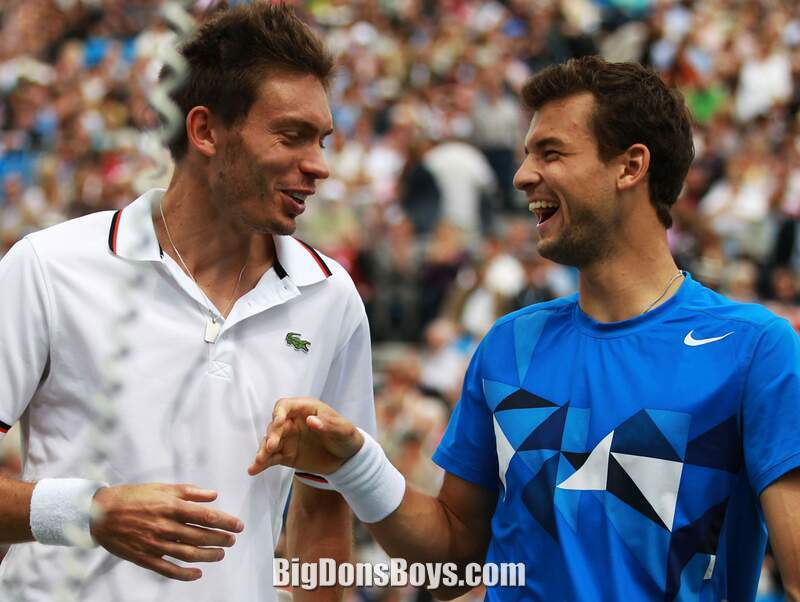 Also on this page is an interview he did with his doubles partner the equally handsome 6'3" (1.9m) Frederik Nielsen. He is going to get a gallery of his own here. I hope his career can survive until I get around to making it. 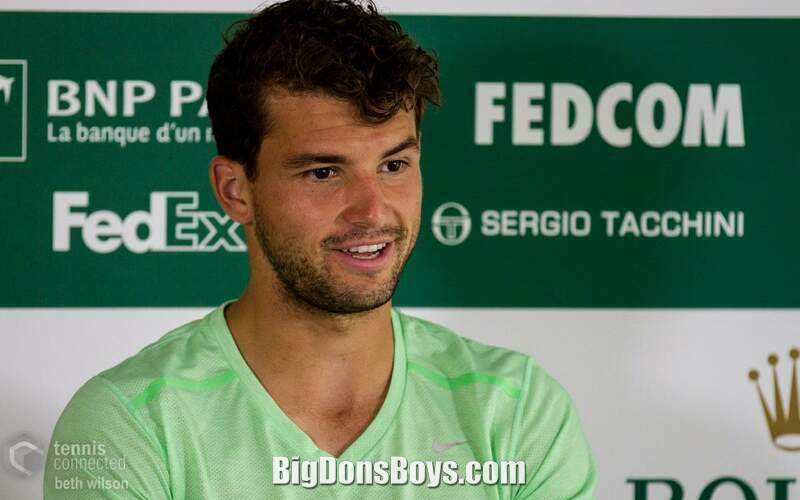 6'3" (1.9m) Frederik Nielsen and Grigor Dimitrov talk team bonding, football and South Beach at the Sony Open Tennis ATP championship in 2013. 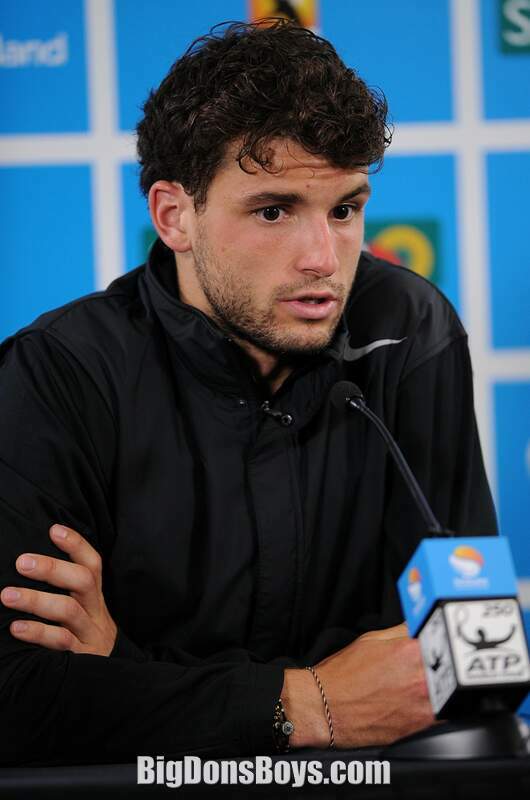 Are ugly men even allowed to play tennis professionally any more?